Enjoy True Hangzhou Essence with Us! 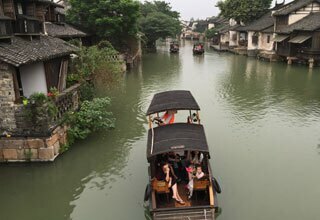 Since January 30, 2016, the visa-free transit time for staying in Shanghai, Jiangsu and Zhejiang has been extended from 72 hours to 144 hours, which means you can visit most attractions in or near Shanghai (water towns such as Zhouzhuang, Tongli or Xitang and cities such as Suzhou or Hangzhou) without applying for a visa to China. Which Countries Are on the Visa-Free Transit Policy List? Where to Apply for Visa-Free Transit? Shanghai: Pudong or Hongqiao Airports, railway stations (normally, there is only one international train to Shanghai from Hong Kong, which stops at the Shanghai Railway Station) and Wusongkou or International Cruise Terminals. How to Apply for Visa-Free Transit? 1. You must present a passport from at least one of the 51 countries above. 2. You must enter China from one of the airports, the railway stations or one of the cruise terminals above and depart China from another one of them. For example, enter from Pudong Airport in Shanghai and leave from Xiaoshan Airport in Hangzhou. Entering and leaving from the same airport, railway station or cruise terminal is not allowed. 3. Show the official at your point of entry your train, plane or ship ticket departing to another country and the official will apply for visa-free transit for you. Please note that the visa-free transit policy does not apply to those who make round trips. For example, US to China to UK is ok. US to China to US is not. 4. You still need to fill in an immigration card and undergo security inspection. Please note that the visa-free transit policy is only valid in Shanghai, Jiangsu and Zhejiang. If you want to travel to other parts of China, you have to apply for a visa. How to Calculate the 144 Hours? You will receive an entry permit after applying successfully for the visa-free transit. The 144 hours will start at the next 0:00 hrs. For example, if you get the entry permit on June 1st, the 144 hours will start at 0:00 hrs on June 2nd. During those 144 hours, you can travel to any place in Shanghai, Jiangsu or Zhejiang without a visa. Visit these two beautiful neighbors of Shanghai by bullet train. Easy come, easy go and stretch your imagination to the limit. 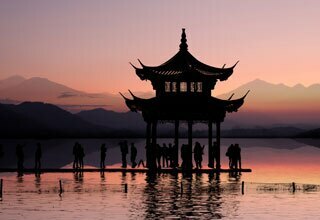 Fast travel and slow sightseeing, we help you spend as much time as possible in the dream-like Hangzhou and Wuzhen. The gardens in Suzhou tell you a story of ancient Chinese culture. 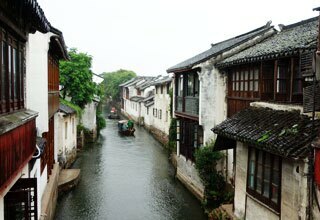 Zhouzhuang tells you a story of the gardens.